A box of friendship came in my mailbox the other day. It came with a card, which my friend Cathy scribbled on to say how much she treasures our friendship. She remembers how I make her laugh... how we used to eat lunch together by the Atlantic coast and how she misses me since I moved out west. She sent me a book, a book that helped her realize her priorities. She learned to "love yourself so you could love more". I felt my face light up as I thought the timing was perfect. Her words captured the moment I'm in right now, her words are like darts hitting my heart. Also in the box was a beautiful necklace. Now, each time I wear it, people would ask me where I bought it. I am in awe of how a necklace would make such a grand statement, even if I am in my plain black shirt. Pardon me if it sounds like a product endorsement, it's just because I am so proud (as much as my friend Cathy is) of her daughter, a designer in NYC with her own jewelry line, Arms and Armory . But what I most cherished in the box is that it came with her friendship. A friendship that has passed the test of time and distance. The other day, I saw a picture posted on her FB wall. She prepared dinner for their anniversary. She rarely cooks yet she took time to cook and set a romantic dinner for her husband. She tagged me in that picture and she said that I will be proud of her for going the extra mile for their dinner date. Yes Cathy you've made me proud. And in honor of our friendship, I dedicate this dish to you, a savory dish that you could easily add to your repertoire. Mix milk, garlic salt in a bowl. Marinade chicken breasts preferably overnight. If not, 30 minutes will be ok. Make sure to refrigerate it. Heat butter and oil in a skillet. Dredge the chicken breast with flour. Shake off excess flour. Using the same pan, deglaze it with white wine. Get all the brown bits goodness of the pan. Add chicken stock, milk and butter. Let it simmer, then add the cornstarch mixture. That just looks and sounds delicious, Malou! I like that you've put the sauce on the side so it doesn't take away the brown crust from the chicken. How i wish the chicken would come my way, in a box. How wonderful it is to have sweet beautiful friends -- Cathy's package was lovely! Your dish looks delicious :) Thank you for reminding me how important friendship is, I think I will call my bestie today! Lanie: I hope alls well with you.. what a great surprise to see you here. Ann: Thanks for dropping by..
Joy: Long time no see, but I'm thrilled to have you stop by. What a lovely friend you have and what a lovely friend I know you must be! Second, I made pan-seared chicken breasts last night too with a simple pan sauce of shallots, reduced chicken broth, thyme, and a shot of lemon juice. So simple, so good. 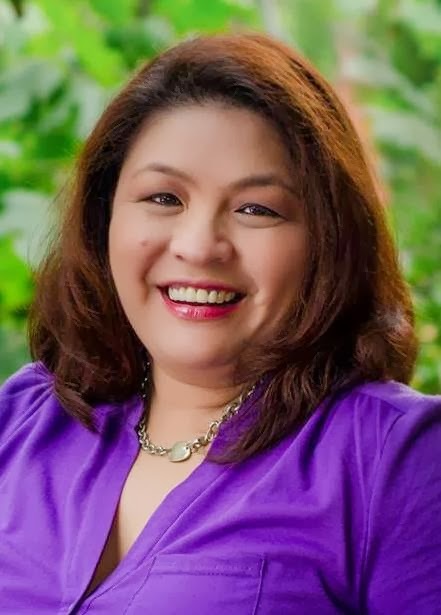 Love your posts, Malou -- you write with heart.